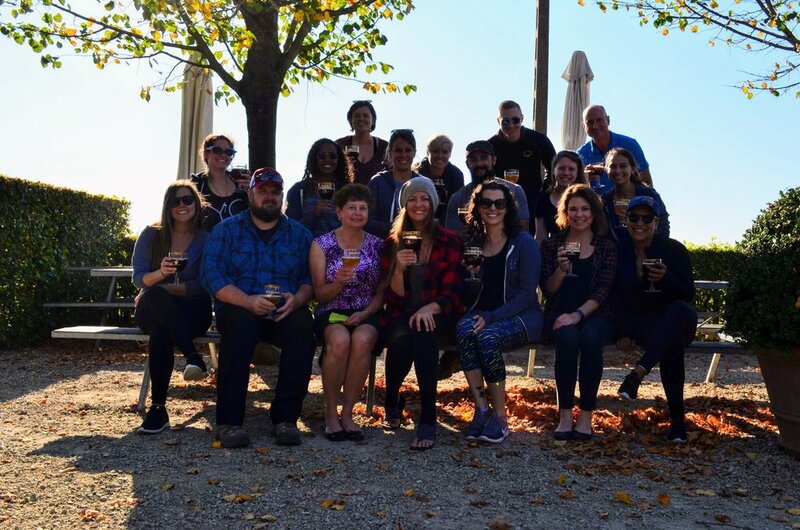 in October, eighteen of us took a Balance & Brews beer holiday to Belgium. 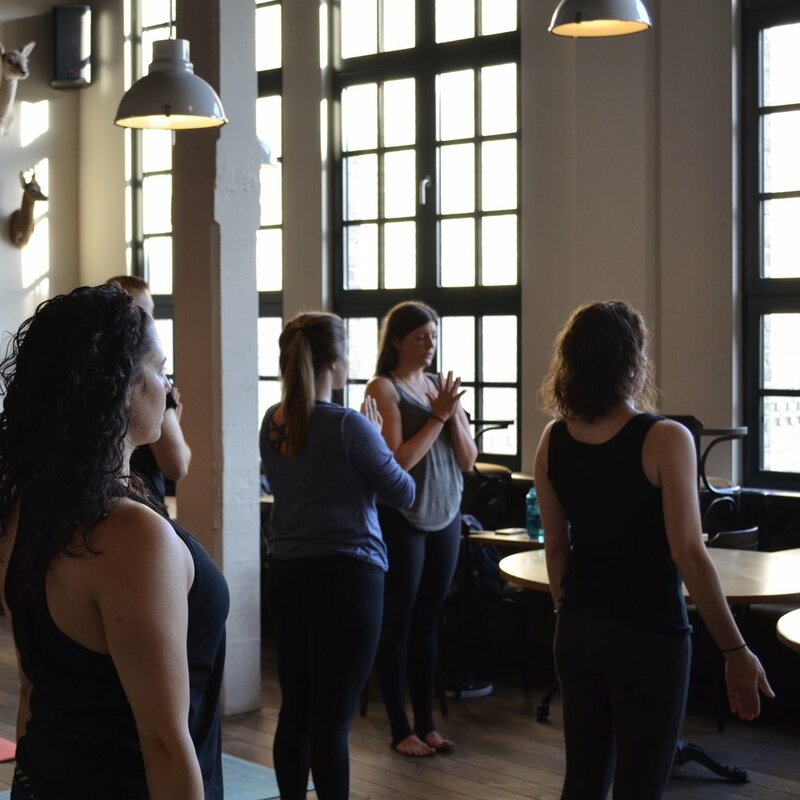 we practiced yoga, we drank beer, we found a strong unity in our travel pack, and we allowed our experiences to change us as we explored an evolution of Belgian beer and culture. this is my highlight reel of the moments and experiences I’ll always remember. a link to our full holiday album is below. 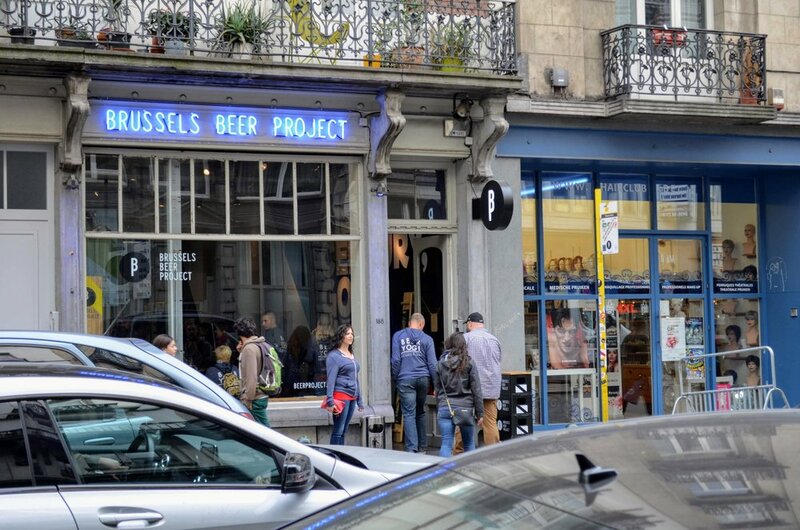 was this Brussels Beer Project glassware made just for us?! our travel began in Bruges. we stayed at a simple, charming eco-hostel with a great Belgian beer bar and plenty of chill space for the group to get to know each other. every day of our adventure was filled with blue skies and delicious beer, but what made me even happier was watching some fast friendships develop. Bruges is shockingly beautiful. we learned a lot about the town during one of our brewery tours, like how it was spared the destruction that most other cities in the region fared during the world wars, allowing it to still stand beautifully in it’s old world glory. from Bruges, a group of us took a bike ride through the Belgian countryside to visit Damme, a small town to the north. we saw all the standards you’d want to see on a trip like this: the autumn leaves falling, a Dutch windmill, the black sheep rebelling from his herd to be in our group photo. 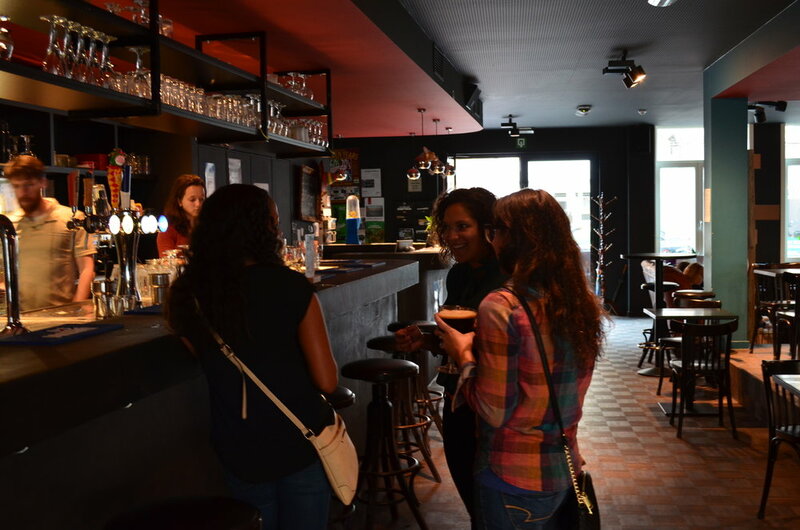 our first yoga and beer practice in Belgium was at Brouwerij de Halve Maan (Half Moon). still a really proud moment in my career: from following through on a bold idea, this became our reality. our practice at Halve Maan was in the morning. that afternoon, we noticed the half moon in the sky. this wasn’t arranged- my mission in scheduling this day was just to collaborate with a brewery in Bruges, on a day they could host our group. the literal aligning of the lunar cycle with our itinerary just proved the strength that is doing things with pure intention. from Bruges, we also visited a Trappist brewery! we ventured to Westvleteren to taste the brews direct from the source. it was another beautiful day and a once-in-a-lifetime cultural experience. the second leg of our beer holiday took us to Brussels. our first group outing was a Belgian beer tour. we ranked beers, learned even more about the local beer culture, and practiced perfect pours. 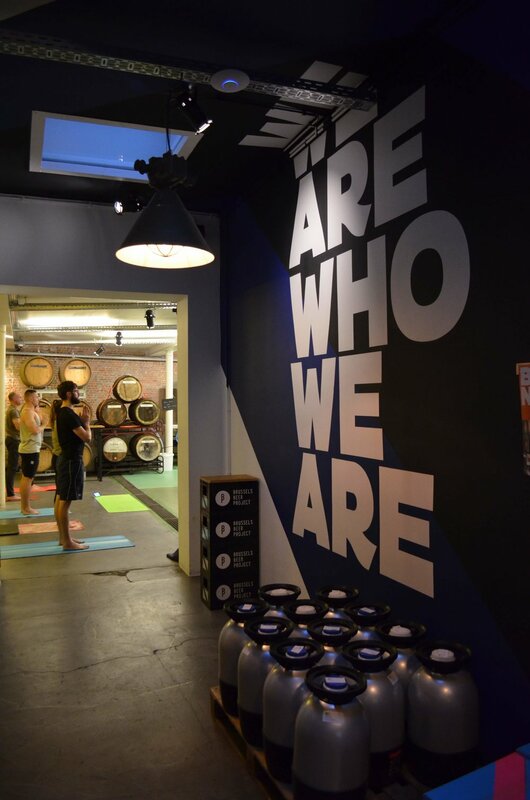 our yoga practice and tour in Brussels was with Brussels Beer Project- a full shift in evolution from the old world brewery roots we experienced in Bruges. BBP brews in an experimental fashion, similar to American craft brewing styles. staying true to their mission of growing forward, brewmaster Dimitri practiced yoga in his brewery with us, and hung out with a few of us who stayed in Brussels an extra day after the retreat. I had asked him to take us to one of his favorite local places - he suggested we hang out at the local BrewDog- another revolutionary international brewery! the vision of this trip was to explore evolution via a path of Belgian beer. ‘become who you are’ was the final takeaway from the ode to exploration that was the decor of our hostel in Bruges. I think you find who you are when you explore. when you are open to change. when you have enough trust in the support of others to get out of your comfort zone. when you are open to connecting to anyone, anywhere. through all these shared experiences, you become who you are. need to see more than the highlights? our full holiday album is below- from Bruges to Brussels and everywhere between. want to be a part of the next adventure? the 2019 trip is live NOW. join us october 6-11, 2019.
find out more about this yoga & beer community- get on the Balance & Brews list below.